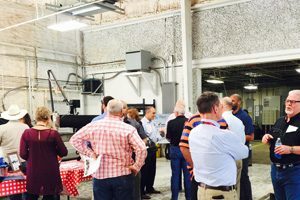 Hager hosted an open house at their refreshed facility inviting customers, suppliers and neighbors to see company improvements. 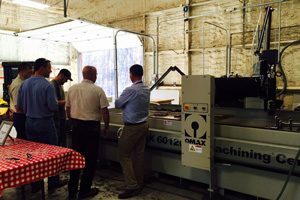 A tour showcased Hager’s state of the art Water Jet, along with many other new pieces of equipment. 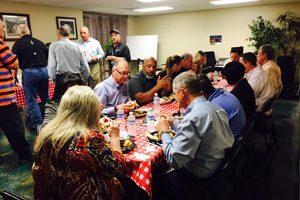 A Fajita and Tex Mex lunch was provided to facilitate networking, and many left with a renewed perspective of the Hager team. Hager has just added 5 new pieces of equipment. Existing equipment has been serviced, recalibrated and/or refurbished. Two new Okuma GENOS L300E lathes with milling have been added for 4 axis work. 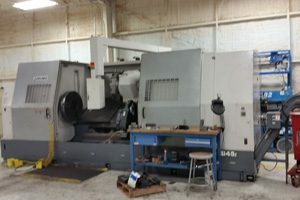 An LB45ii large CNC lathe was also added to the shop, giving Hager 2 LB45s. Our new OMAX 60120 multiaxis Water Jet with rotary head is ideal for beveled, curved or flat work. New machinists and technical personnel, such as engineer Chris Brown, have also been added to the staff. 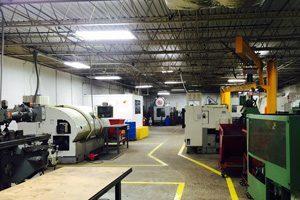 Hager’s parent company, Atec, has also enlarged their machining operation in 2016 and 2017. Hager Machine is committed to being your can do, go to shop! Lloyd, Chavella and Chris welcome your calls at 281-872-6393.